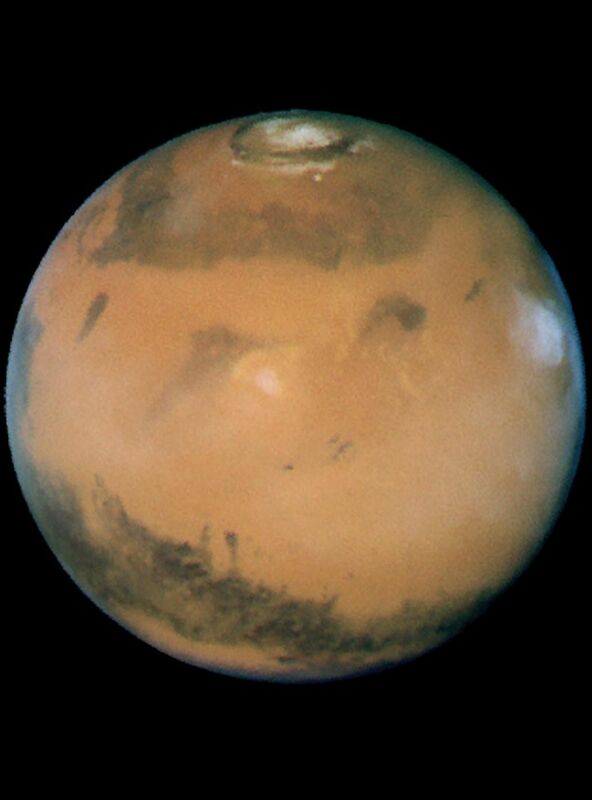 Hubble Space Telescope snapped this picture of Mars on October 28, within a day of its closest approach to Earth on the night of October 29. The large regional dust storm appears as the brighter, redder cloudy region in the middle of the planet's disk. 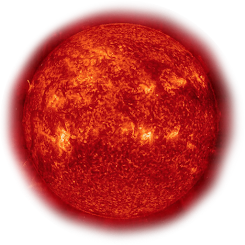 This storm, which measures 930 miles (1500 km) has been churning in the planet's equatorial regions for several weeks now, and it is likely responsible for the reddish, dusty haze and other dust clouds seen across this hemisphere of the planet. Hubble's Advanced Camera for Surveys High Resolution Imager took this image when the red planet was 43 million miles (69 million km) from Earth. Mars won't be this close again to Earth until 2018. Mars is now in its warmest months, closest to the Sun in its orbit, resulting in a smaller than normal south polar ice cap which has largely sublimated with the approaching summer.